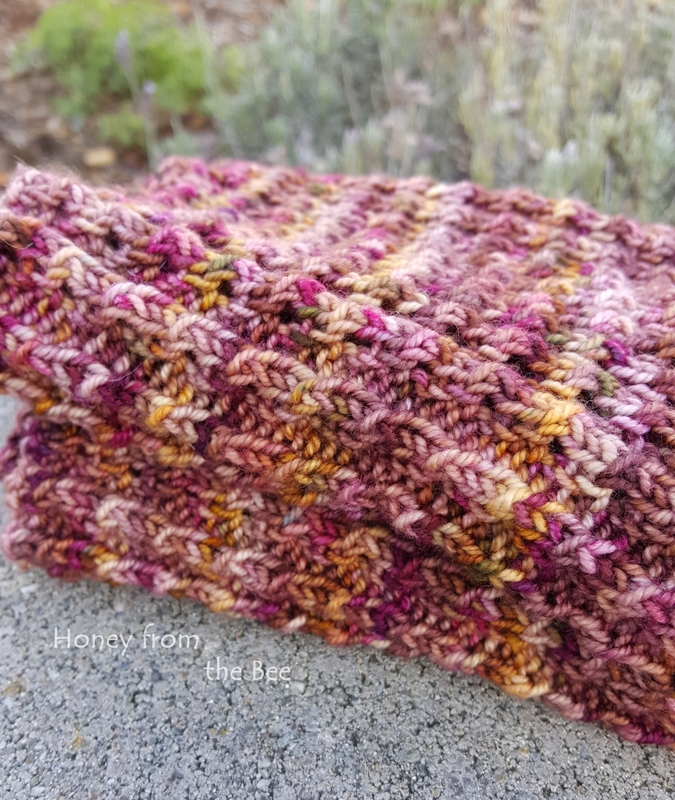 Luscious colors of deep rose, pink and gold in this textured handknit cowl. 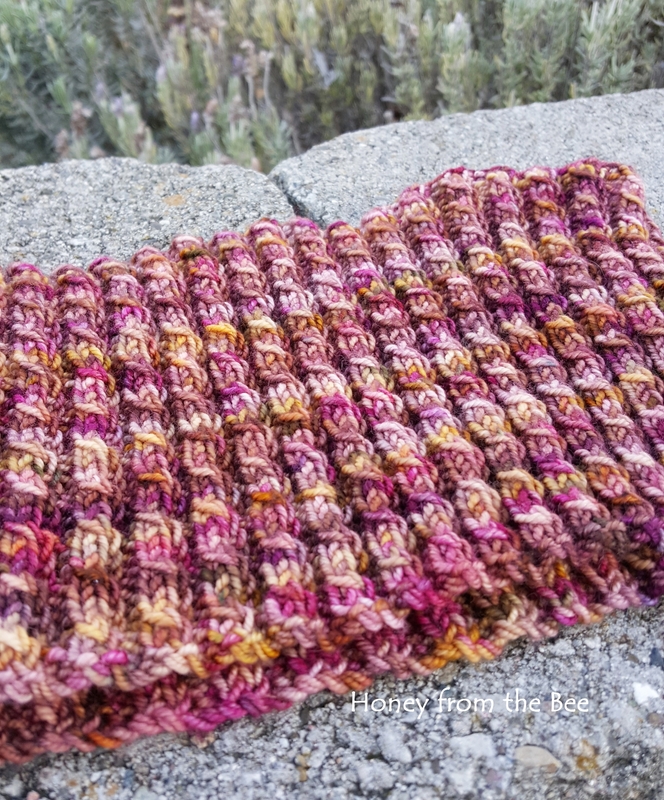 This was a fun one to knit as I loved the colors and the resulting texture with even a little lace thrown in. 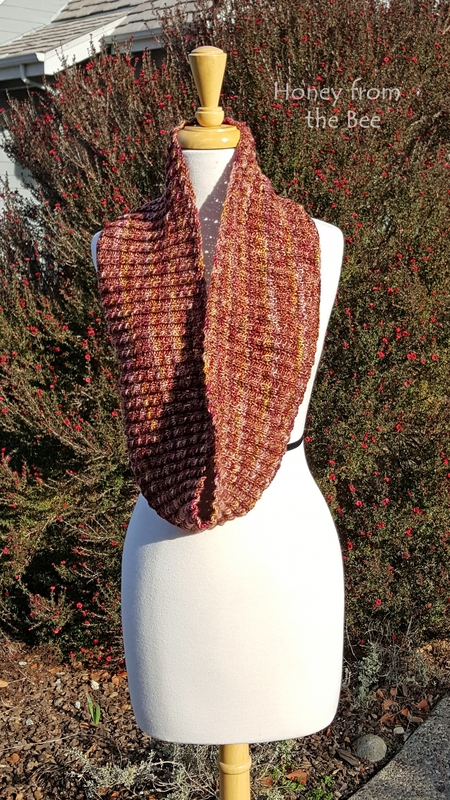 Can be worn 2 ways - long or wrapped twice around the neck for extra warmth. 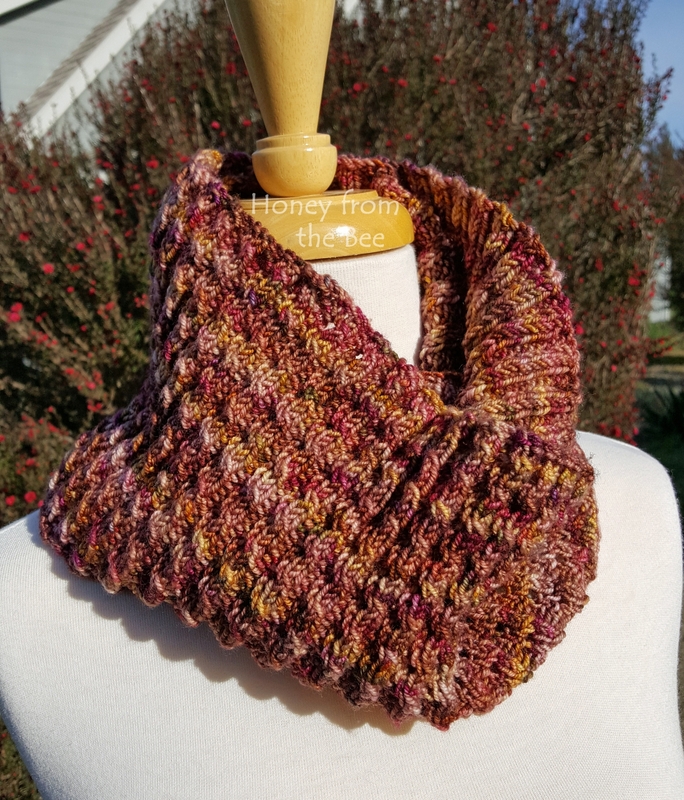 Yarn is hand-dyed in Tennesee of 100% superwash merino wool. Care: If not soiled, just let it air outside. If soiled, handwash (can be machine washed cold water gentle cycle, but put in lingerie bag so it doesn't stretch out.) Lay flat to dry.